So lucky. Started when I saw the Smiths in 1986 at the Aragon Ballroom in Chicago but it didn’t really hit me until I saw Elton John in 1988. I love a live music show more than anything in the world. Song writing and storytelling are distinct arts and when combined become something much more important. performance and longevity are the inevitable difference makers the ones who can inspire, awe, out live, prove wrong but prove right in the end. I’ve seen Morrissey, Elliott Smith, Joseph Arthur, Dave Matthews, Bob Dylan, U2, The Cure, The Grateful Dead, Prince and Neil Young more than three times each. But this summer has taken the cake in good fortune having seen Eddie Vedder, Amiee Mann, Neil Young, Bon Jovi, Radiohead, Wilco and Dave Matthews at the Greek in Berkeley (two weeks). 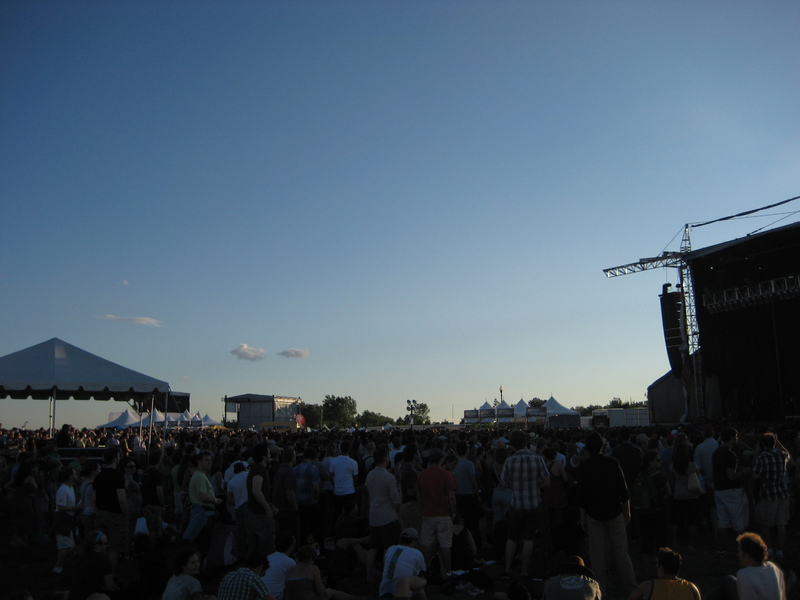 Radiohead was at the All Points West Festival featuring a stunning sunset, Manhattan Skyline and the Statue of Liberty not to mention Girl Talk who DJ’d a run featuring Jay-Z, Radionhead (paranoid android) and Isaac Hayes two days before he died. 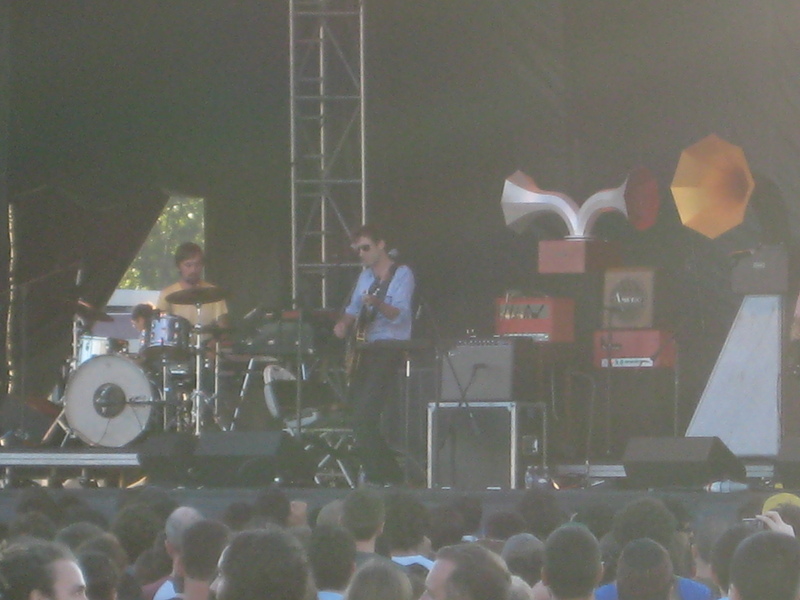 I also finally saw Andrew Bird who went to high school with and blew my mind. These two shots illustrate the vibe.